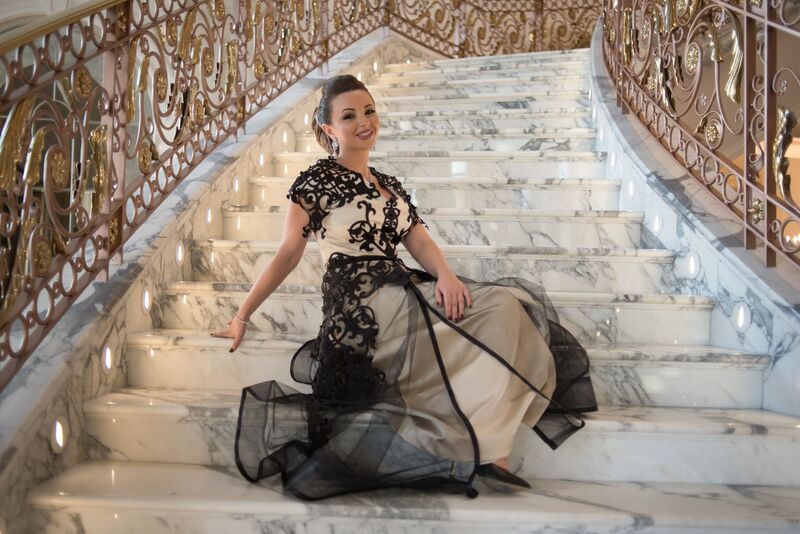 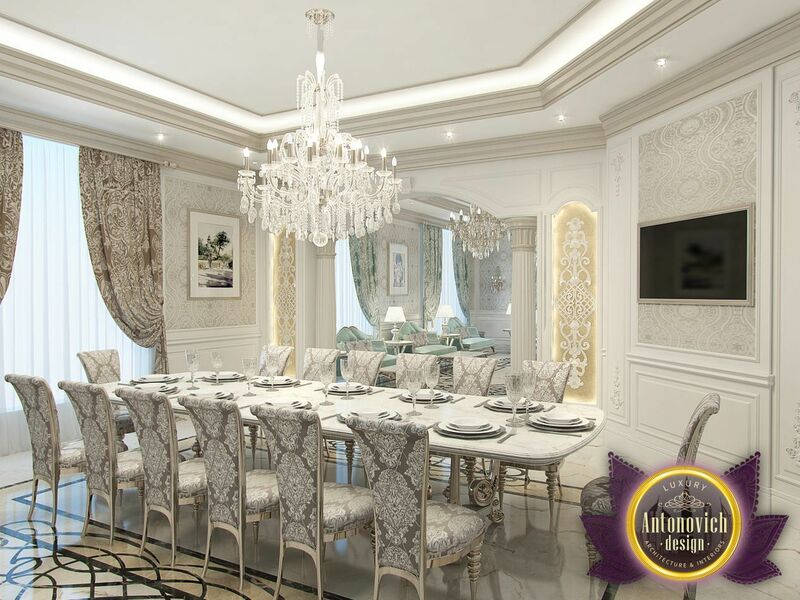 Projects of luxury villas in Dubai, which creates a design studio Luxury Antonovich Design are reflection of the cultural traditions of the country. 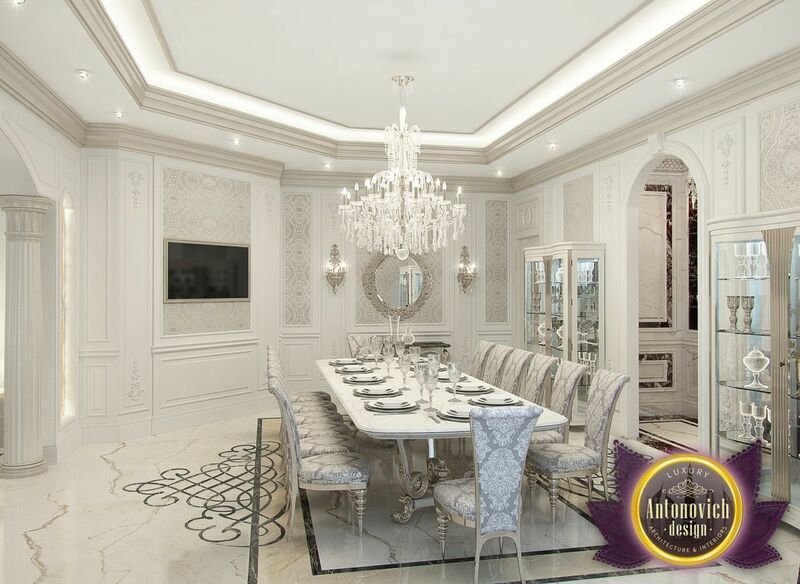 And the majlis design has consistently stressed the eastern warmth and hospitality. 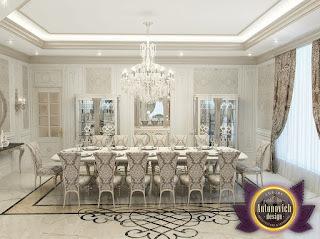 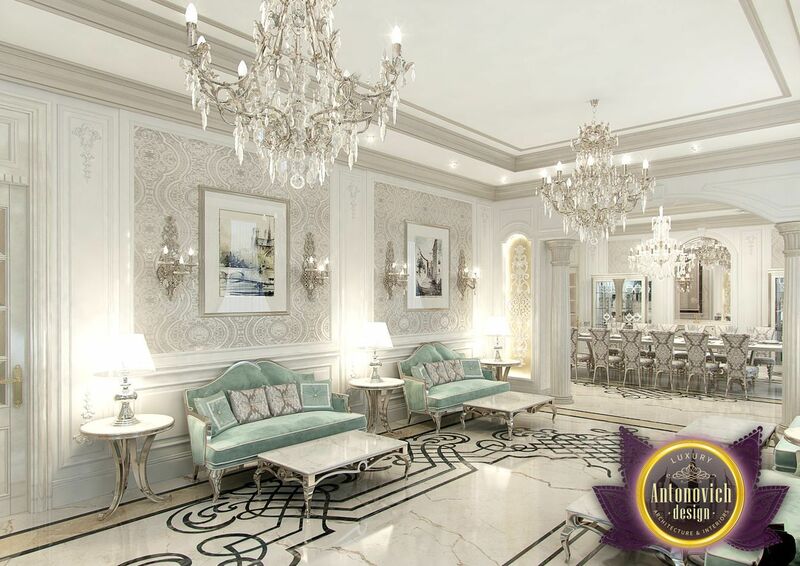 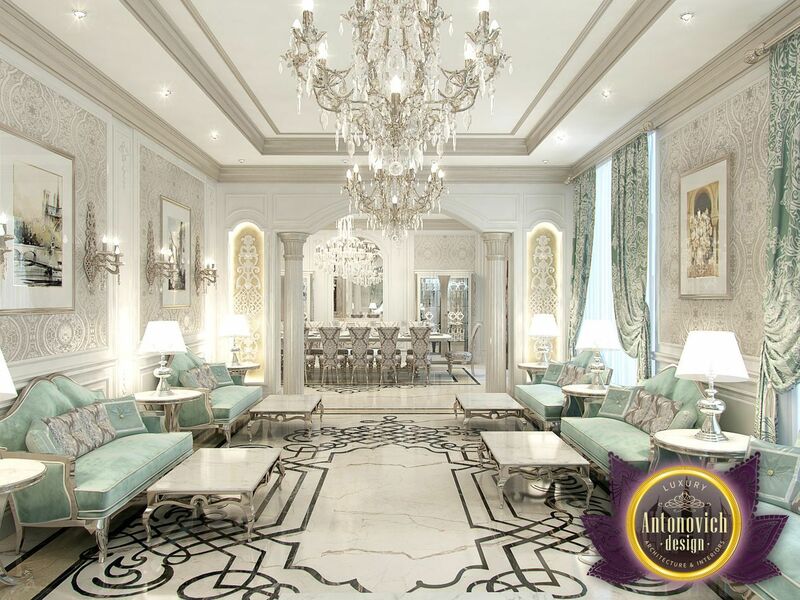 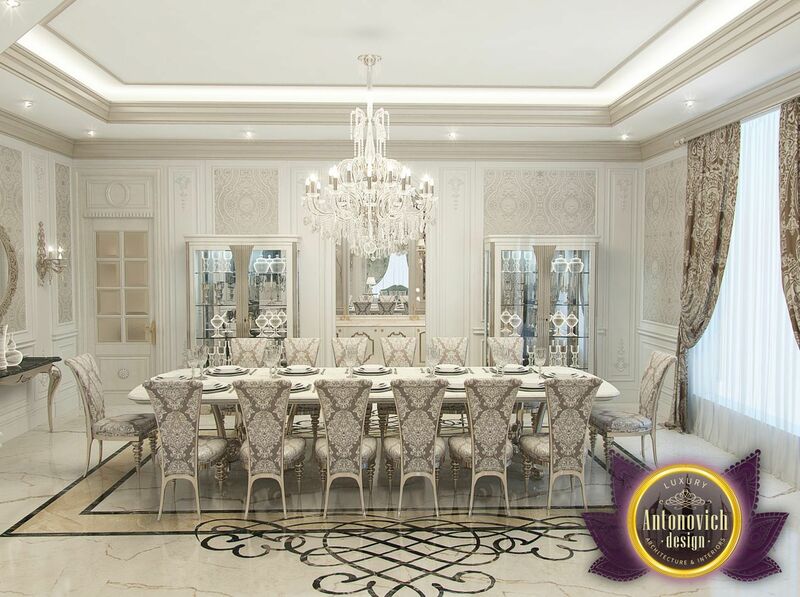 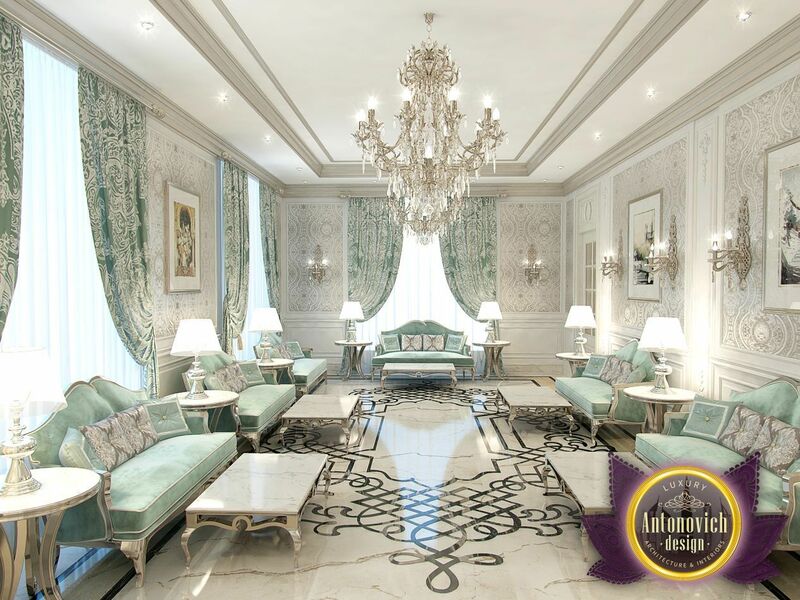 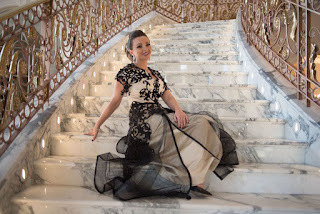 This majlis interior design combines classic and oriental style. 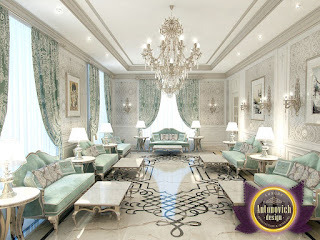 Designers elegantly highlighted so fashionable this season the color of Tiffany. 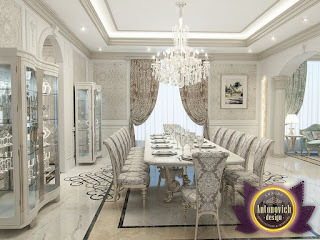 Perfect image of the interior is based on the harmonious combination of colors, textures and materials. 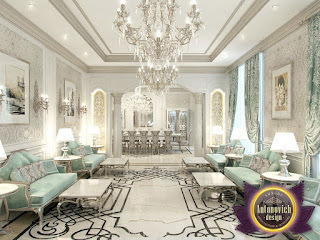 Bright marble blends with silk wallpaper in the decoration of the walls. 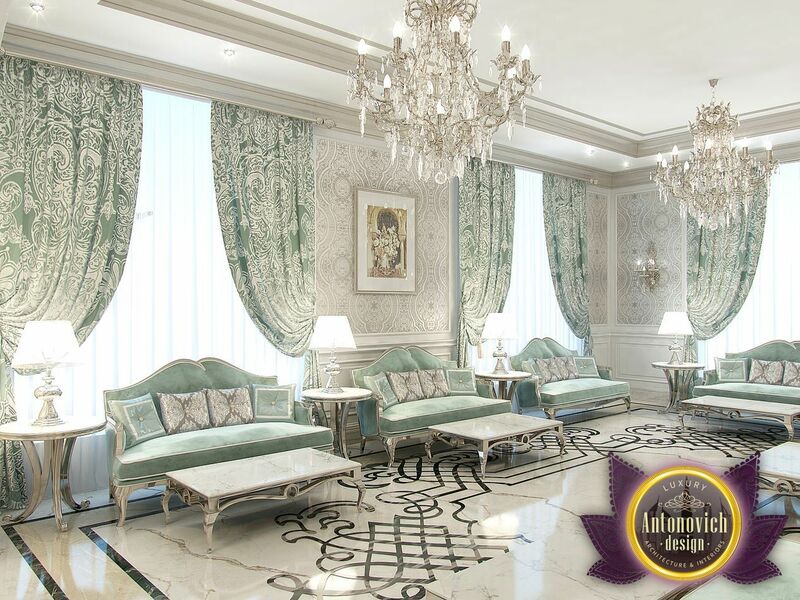 A luxurious curtains with printed motifs are combined with stylish upholstered furniture. 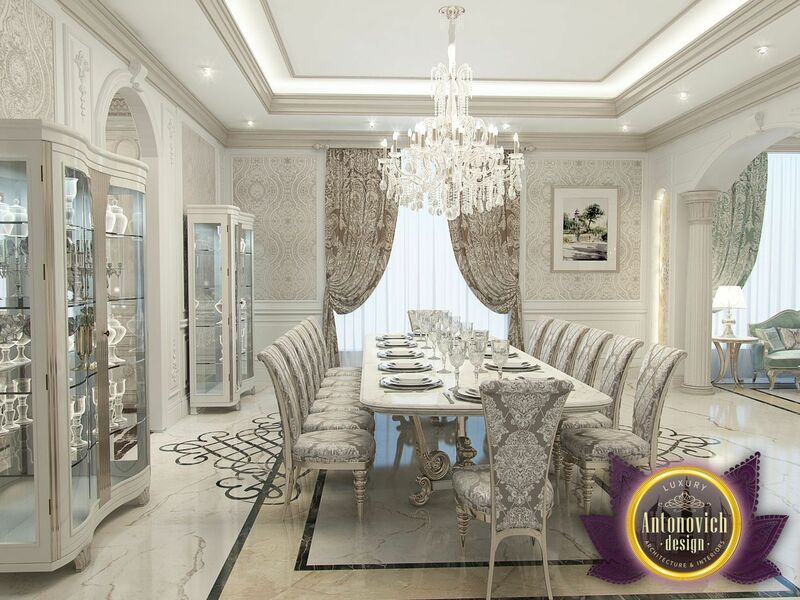 The continuation of the living room and the main symbol of hospitality has become a dining room interior.